The music industry has faced financial hard times in recent years with the emergence of music streaming services and a steady decline in physical and digital record sales. However, one area where business is booming is music festivals, revenues from which continue to increase annually and add heavily to the bottom line of the music industry. Music festivals, which make up a large chunk of the $20B global concert industry, are big business. In 2014, in the U.S. alone, 32 million people attended at least one festival. And attendance has steadily climbed over the years for most music festivals in the U.S., which currently has over 800 annual music festivals and counting. Coachella Valley Music and Arts Festival, the highest grossing of these domestic music festivals, had about 500,000 attendees in 2015 and grossed over a staggering $84M that year. The popularity and growth in music festivals coupled with the ability to generate millions in revenue and attract an astronomic amount of attendees, has many cities, from large markets like Miami which hosts Ultra Music Festival to smaller markets like TBD Fest’s home city Sacramento, lining up to host music festivals, much like global cities vying for the dubious honor of being an Olympics host. Undoubtedly, local community businesses gain tremendously from the touristic traffic. The competition among these cities vis a vis the festivals they host has caused the ubiquity of the “radius clause” in artists’ contracts, prohibiting artists from performing within a specified geographic radius for a certain amount of time to insure the success of the event imposing such terms on the artists. In any form of entertainment, if there is a targeted demographic and high viewership, there will be big advertising dollars. And music festivals are no different. Corporate sponsors play a huge role in the music festival ecosystem, with sponsorship dollars being the third largest revenue stream for festivals, behind only ticket sales and concessions. Festivals allow sponsors to maximize their advertising budget on a highly curated (both demographically and geographically) and captivated audience. In 2014, Nielsen Music reported that about 14.7 million festivalgoers were millennials (a favorite of sponsors) and, on average, traveled about 900 miles to attend a festival, which may justify the $1.34B spent by sponsors to have a presence at major (and many not-so-major) music festivals. The once stigma of heavily sponsored events appearing “too corporate” or “uncool” has seemed to fade away to the point where some corporate brands are even producing their own music festivals, such as Budweiser’s Made in America Festival in Los Angeles and Philadelphia or Red Bull Music Academy in New York City. Over 27% of music festivals arise from partnerships with Coca-Cola alone. The sponsorship efforts at large music festivals are no longer limited to some well-placed logos around the venue and in media. Indeed, sponsors are getting more and more creative in the way that they interact and appeal to festivalgoers. For example, at the 2013 Bonnarroo Music and Arts Festival, Garnier provided festival attendees with hair washing stations in order to offer a creative solution to the heat problem that many summer festivals face and Mattel offered multiple gaming tents to give attendees something amusing to do during dance breaks. The revenue received from these sponsorship fees allows promoters to keep making festivals bigger and more attractive without the cost shifting to the consumer in the form of increased ticket prices. With more revenues and larger production budgets, festivals in recent years have been able to attract A-List talent. And, in turn, more artists now prefer festivals over touring on their own. In 2014, Outkast generated over $60M from performing in 40 music festivals. Daft Punk, who had a long standing policy of not performing at festivals, caved in when Coachella offered the EDM duo $500,000 to perform in 2006 and ended up giving a performance considered by many to be the greatest in Coachella history. This year, Guns ‘N Roses reunited after over a decade apart to collect a reported $3M paycheck from Coachella. Even more so than A-List artists, the biggest financial beneficiaries in the industry are the festival promoters. Typically, promoters advance enormous amounts of capital, take on all of the risk, and pay for the venue, permits, licensing, insurance, upfront artists’ fees, and, thus, are at the mercy of the festival’s success to recoup their investment. Something as simple as bad weather could cause tremendous financial loss to a promoter. Live Nation and AEG Live, the two most dominant promoters in the industry, operate the most successful festivals around the world. In 2015, the Los Angeles-based Live Nation (the only publically traded live music company) posted $7.2B in revenue and a double digit increase in Q1 2016. AEG Live, a privately held company which owns Coachella promoter Goldenvoice, was rumored to have a $10B valuation in 2012. With so much money involved in the business of music festivals, it’s inevitable that unique and complex legal issues arise. When serving as production counsel for a music festival, U.S. Law Group provides legal services in various areas including, without limitation, (i) financing; (ii) intellectual property protection; (iii) negotiating with venues and vendors; (iv) structuring sponsorship deals; (v) negotiating and drafting artist performer agreements; (vi) procuring permits, licensing, and insurance; and (vii) advising on and structuring distribution deals. 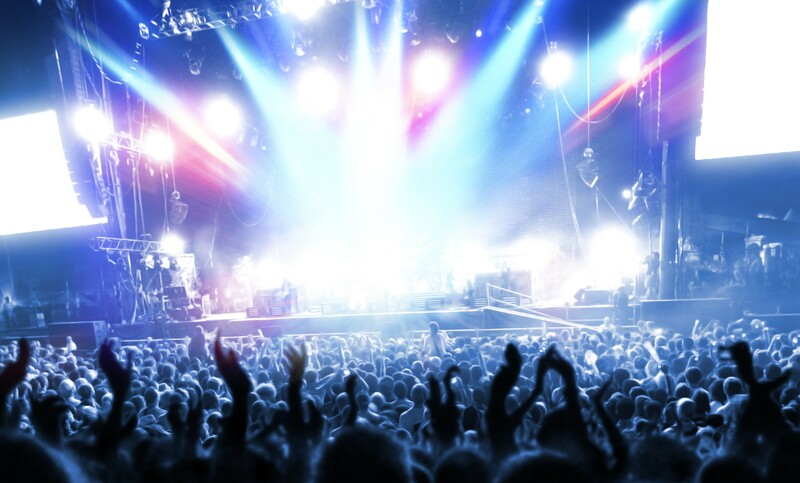 The business of music festivals and, more broadly, live music events is a specialty of U.S. Law Group’s Entertainment & New Media practice group, which provides production legal services to festivals and concerts, as well as representing investors and sponsors financing the events. Additionally, managing attorney Usman Shaikh represents cutting edge startups UphoricTV and EDMTV, each of whom produces and distributes various content related to music festivals across multiple digital platforms, adding to U.S. Law Group’s depth in the music festival space. To learn more about U.S. Law Group’s production legal services in Entertainment & New Media, please visit our site.